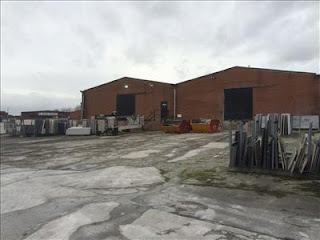 The Original Marble & Granite Co. has ceased to trade resulting in the closure of its Rotherham site and the loss of a number of jobs. The firm was established in 2010 to supply stone surfaces for domestic and commercial customers and had premises in Hoddesdon, Hertfordshire and Ferham in Rotherham. Just a year later, the business and assets where sold in a pre-pack administration deal to a new company with different directors and shareholders - OMG Jewellery For Your Kitchen Limited. Now the OMG company has ceased to trade after administrators were brought in and a takeover deal fell through. The company specialised in the production, fabrication and installation of granite and marble kitchen workshops, supplying kitchen manufacturers, retailers and individuals throughout the UK. The company traded profitably and reported profits for the year ending June 30 2015 at £129,000 from a turnover of £4.5m. Shortly after this, the Hoddesdon factory experienced power shortage issues and output was cut by 50% for three months. With machines on shut down, the company could not commit to projects. At the same time a major supplier announced that it had purchased a company to bring production in house and orders stopped. Cashflow issues meant that credit insurance was withdrawn which impacted supplier credit terms leading to a number of suppliers threatening legal action. Corporate finance advisors at Duff & Phelps were brought in during April 2016 to review the business. A notice to appoint administrators was filed and prospective purchasers of the business were contacted in a bid to save the operations. 17 bidders expressed an interest but when an offer came in for certain assets it became clear that the purchaser did not want to become liable for the TUPE costs - the rules that protect employees' rights when the organisation or service they work for transfers to a new employer. In July, one of OMG's creditors filed a winding up order, which forces an insolvent company into compulsory liquidation, in the hope of securing money owed. Following this, administrators were duly appointed and concluded that the business would cease to trade as it had insufficient money to pay suppliers or meet overheads and a sale had already been ruled out. All 65 employees across the two sites were made redundant and in August, Charterfields hosted an auction for 1,000 lots, including plant and equipment, fork lift trucks, office furniture and motor vehicles. The 20,000 sq ft Rotherham premises are being advertised for sale / to let by agents, LSH.